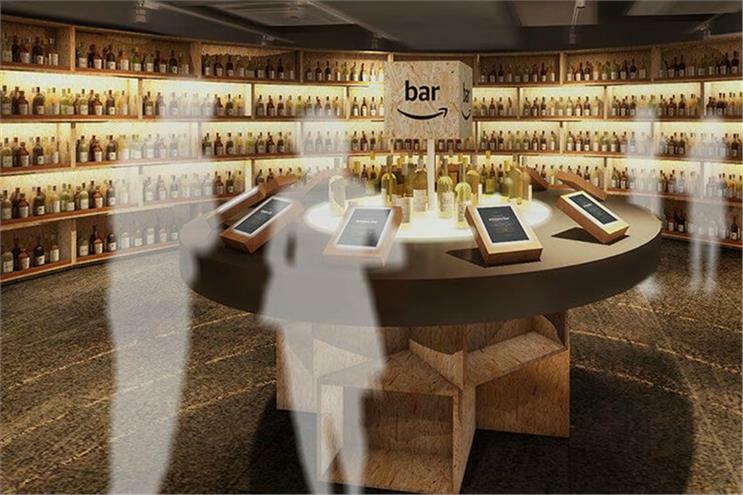 The 'Amazon Bar' will be a world first for the company. Amazon is going to promote the alcoholic drinks available on its platform in Japan via a pop-up bar in Tokyo. The tech giant will open its 78-seat Amazon Bar on 20 October for 10 days. Located in Ginza, an upscale shopping and entertainment district in southeastern Tokyo, the venue will serve cocktails, wine and sake, including some exclusive products, according to a company statement. The bar will not have menus but will recommend drinks to customers. The promotion marks the first time for Amazon to operate a bar or entertainment establishment of any kind. It has experimented with bricks-and-mortar bookstores. Commenting on the initiative as an outside observer, Brendan Cravitz, head of content production at Publicis One Japan, said he approved of the idea but noted that little had been done to promote it. "You would think they would have had the resources or budget to actually create an appealing page, microsite or something to build up excitement for this," he said, indicating that the page created could be more attractive. Japan is one of Amazon’s four largest markets, which include the US, UK and Germany. Together they account for more than 90% of the company’s total revenue. Japan is also among the world’s biggest alcohol markets, although consumption is falling. Beer drinking, while still popular, has become less so due to an aging population and increased health-consciousness among younger consumers. Wine has shown the biggest increase in popularity over the past decade, followed by whisky. The number of drinkers has risen by more than 55% and 34% respectively, according to figures from Japan’s National Tax Agency. Is Tesco's Dave Lewis less bullish over the threat from Amazon?